Manufacturer: On The Move, Inc. Description: On The Move has been in the specialty truck leasing business for over 20 years. 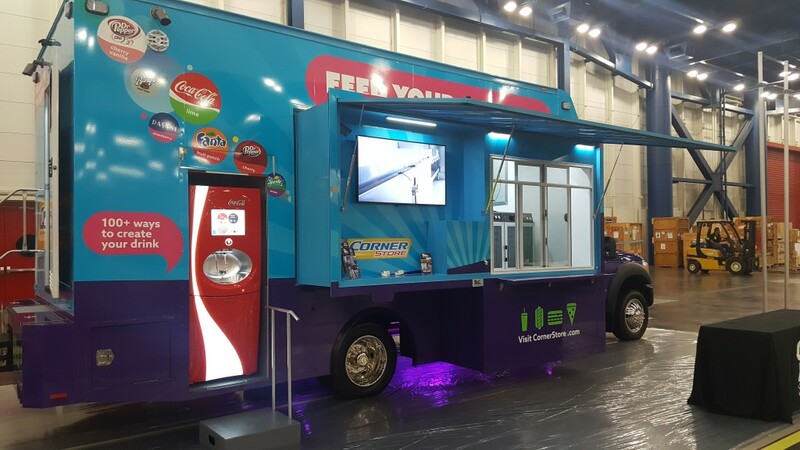 Our innovative food truck design is unique and provides the operator the ability to serve upwards of 1,000 customers per day. On The Move’s patented extended slide out allows eye to eye customer interaction and increased crew and equipment space. 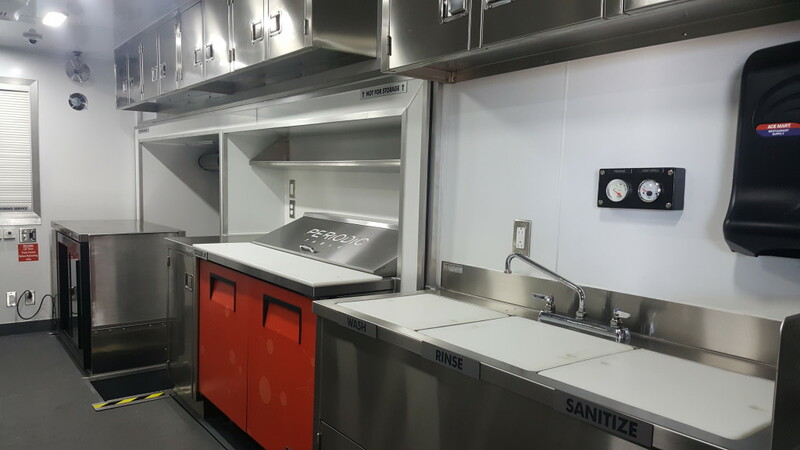 On The Move customizes the interior with the kitchen equipment and stainless package needed to prepare and serve your menu items. Our trucks also offer a 20 KW generator, 200lb ASME propane system with safety shut off valve, fresh and grey water tanks, commercial flooring and drain and much, much more. 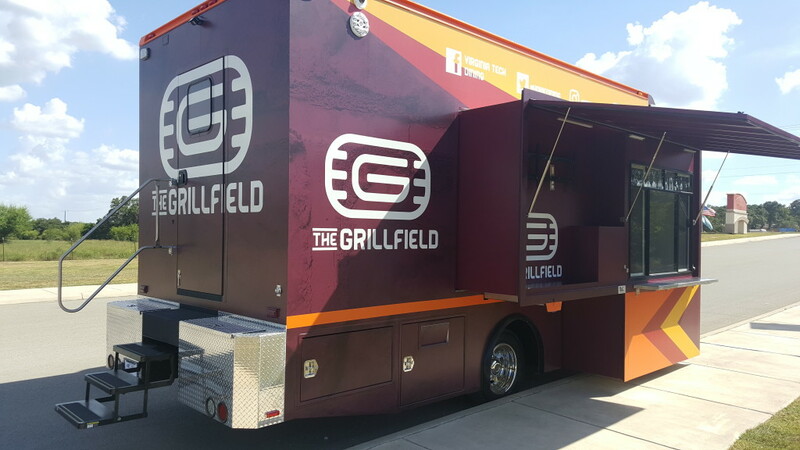 We also offer custom graphics to advertise your restaurant or university garnering 600 visual impressions per mile driven. Additional options include an oil extraction system, audio/visual packages and weatherization. Our trucks are truly built from the ground up and engineered to be a food truck. 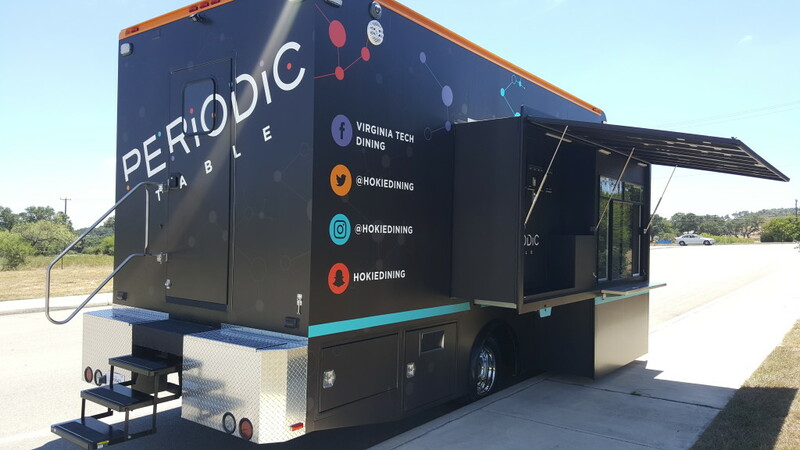 Press the Play Button Below to Listen to an Exclusive Interview with Robert Mikalonis, Director of Food Trucks at On The Move Inc.
Virginia Tech Dining Services Introduces Two New Food Trucks – News story about Virginia Tech’s new food trucks built by On The Move, Inc. Build a Food Truck - On The Move Inc.